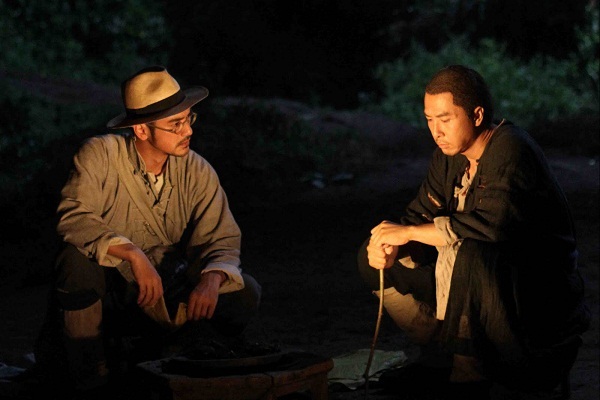 The result is like A History of Violence with a dollop of detective work supplied by the overly inquisitive Xu Bai-jiu (Takeshita Kaneshiro – the Taiwanese/Japanese hearthrob of House of Flying Daggers and Red Cliff), who arrives in Yen's village after two thugs are killed attempting to knock over a local convenience store. He prattles on amusingly and insistently in voice-over about the specifics of Eastern medicine and physiology, aided by some zippy anatomical CGI curated by director Peter Chan. Chan also amps up the visual flair as Xu Sherlocks the inciting hold-up sequence, which is presented twice: first as described by Yen's Liu Jin-xi (who was found on the scene and is seemingly responsible for the deaths), and then as per Xu's deductions. The speed-ramping and CGI particle effects in the sequence puts Zack Snyder to shame, and the choreography and execution throughout the picture is first rate. 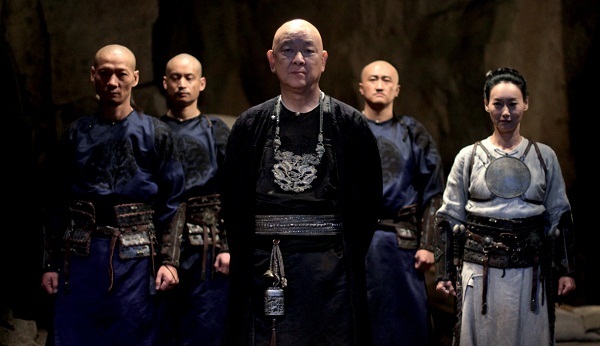 Eventually it becomes apparent that Liu may have links to a nasty bunch of fellows called the 72 demons, lead by an imposing giant played by the Shaw Brothers-era martial arts legend, Jimmy Wang. Liu's not ready to admit it, though, even when he and Xu form some kind of friendship. The presence of his loving family, including a wife played by the striking Wei Tang (of Lust, Caution), only complicates matters. While refreshingly more complex and measured than your typical martial-arts flick, Wu Xia is badly in need of an edit – at least 10-15 minutes could easily be excised or rearranged to mold the narrative into something more propulsive. The score is sometimes overbearing in an aggressive rock-n-roll kind of way, and it's modernism seems at odds with the film's otherwise old-school quality (the story is set in 1917), through the pic is beautifully lensed by Jake Pollock and Yiu-Fai Lai. The actors, especially Kaneshiro as the almost naive, nerdy Xu, do fine work; even Yen, hardly renowned for is acting abilities, is appropriately stoic. To me, martial arts films can be likened to musicals, with highly-choreographed action set pieces taking the place of the big song-n-dance numbers – even when they're driving the plot forward, there's an element of show to them. And it's to Wu Xia's credit that the (impressive) show never outweighs the considerable story, though there is a bizarre sense of humour that just doesn't quite fit with some of the more suggestive, dark undertones of the narrative.